All SpillTech® OverPacks are DOT-approved and X-rated for use as salvage drums. Help you conform to federal regulations when shipping damaged or leaking containers, or used absorbents. Avoid the extra expense of a dolly by buying a wheeled OverPack. UN- and DOT-approved container helps companies conform to federal regulations when shipping damaged or leaking containers of hazardous materials, or absorbents contaminated with hazardous substances. 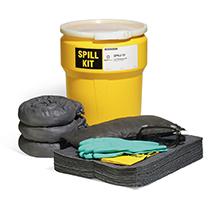 All SpillTech® OverPacks are DOT-approved and X-rated for use as salvage drums. 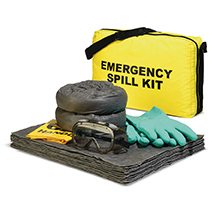 Helps companies conform to federal regulations when shipping damaged or leaking containers of hazardous materials, or absorbents contaminated with hazardous substances.